The C.W. Brabender AquaTrough, a five foot (5’) long water trough is constructed of 304 stainless steel with drip trays, and is equipped with strand/product roller guides and an air-wiping device. 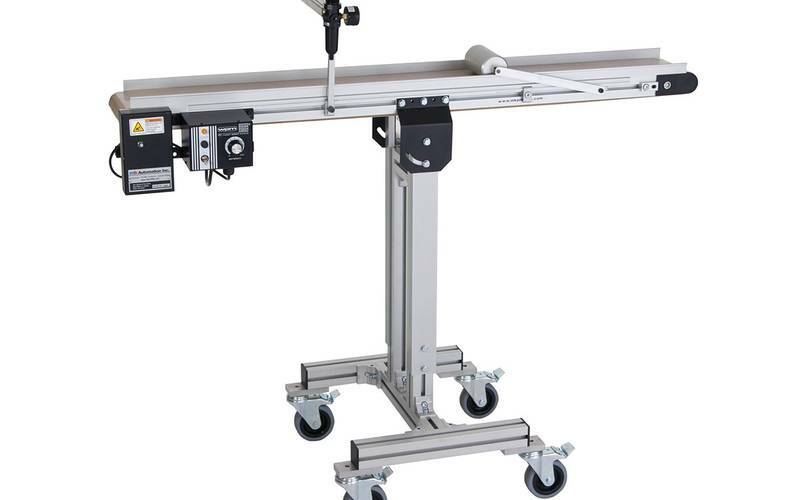 The heavy-duty extruded aluminum modular stand is outfitted with a hydraulic height adjustment feature, allowing for an adjustable centerline height of 36.5” (Min.) to 42.5” (Max.) – locking casters allow for positioning and securing of the AquaTrough to the floor. The AquaTrough is specially designed for use in a variety of applications. Its versatile design allows it to be utilized during compounding and pelletizing applications, and with optional accessories it can be transformed to cool small tubing and profile applications. This transformation easily takes place by interchanging the end plates of the trough. When closed it is used for compounding and pelletization -- when it is utilized for cooling tubing, such as inline tube, wire coating, and/or profile applications, the closed end plates are replaced with ones that are machined to a specific size.